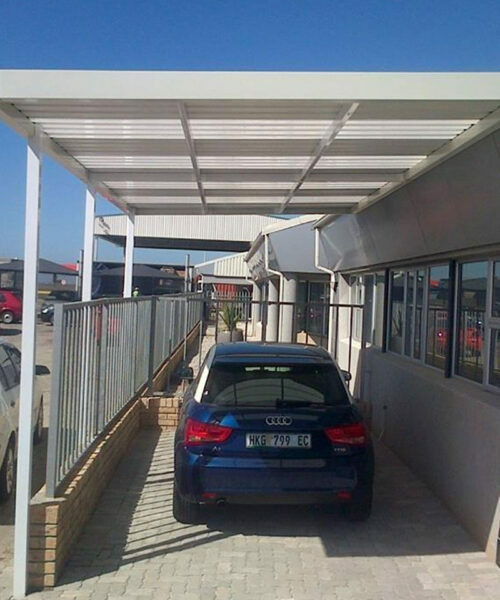 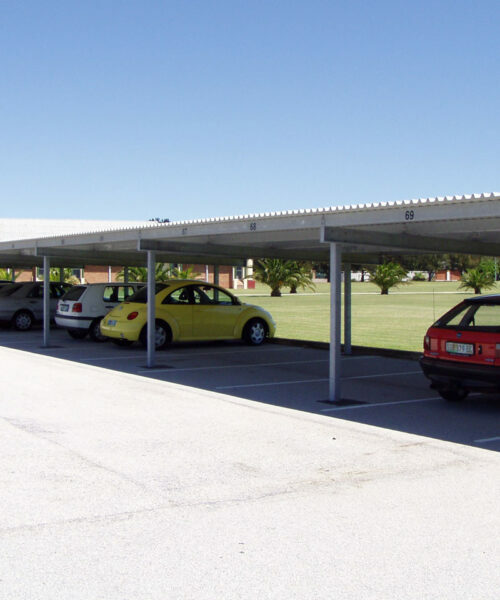 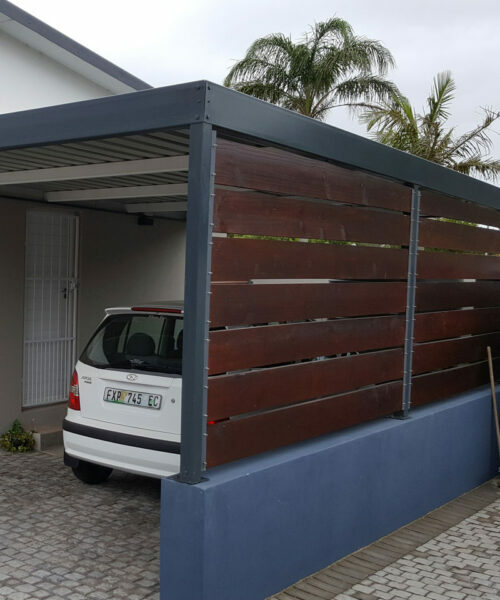 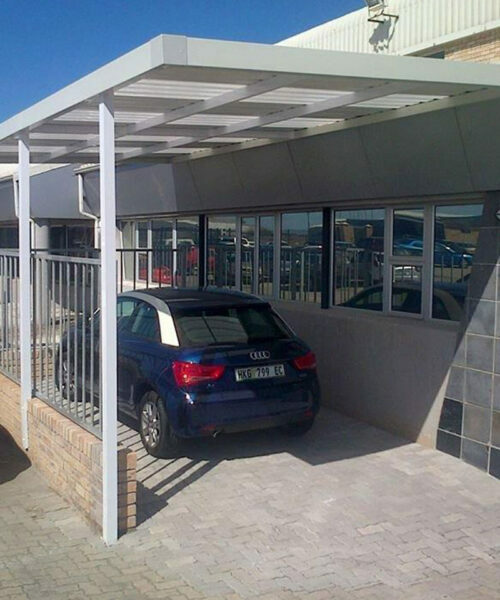 Our carports are designed and manufactured from galvanised steel or aluminium and the roof sheeting used ranges from various materials in an IBR profile. 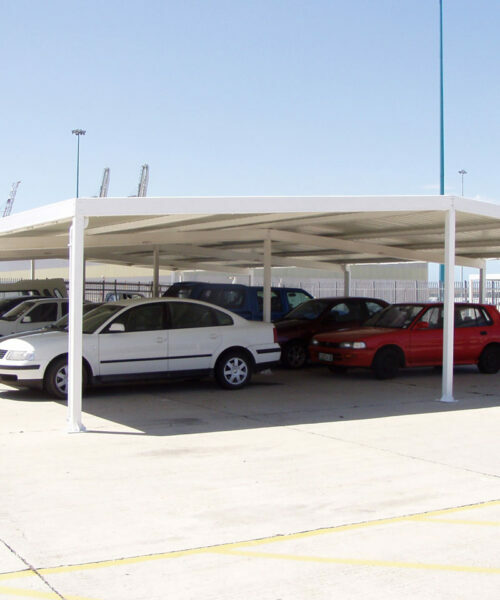 The structures can be custom designed to various dimensions and can be free-standing or attached to a building. 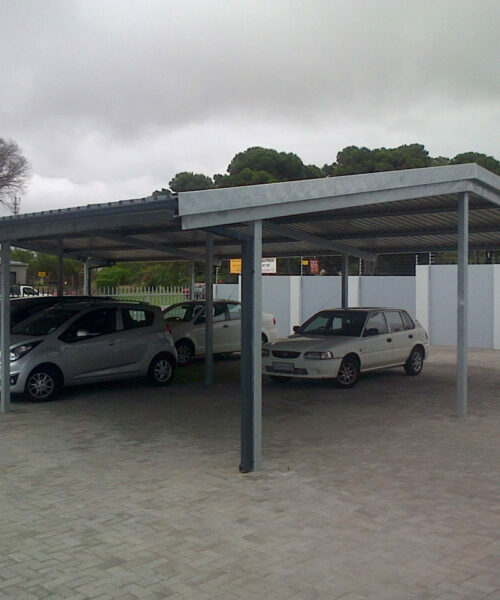 Our carport structures can also be designed and adapted for walkways, storage areas, sheds etc.